Why Is Mold a Health Threat? For about 20% of the population, mold can cause substantial health problems. 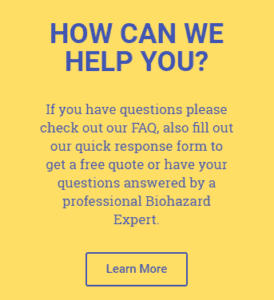 As a business owner, the wisest and safest course of action when blood is spilled at your property is to immediately contact a biohazard cleanup company like ours. Sometimes there are biohazards such as blood present at an attended death that require professional cleanup.